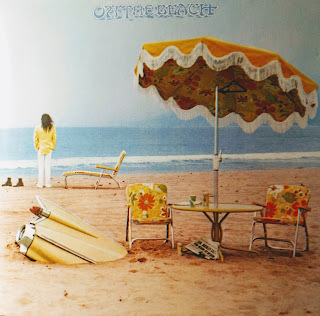 In honour of Shakey's 73rd birthday, here are my thoughts on what I consider his best album, "On The Beach" (OTB). The middle album of the 'Doom Trilogy' but actually the last to be recorded, OTB was released in 1974. After Reprise baulked at the unremittingly bleak, but almost equally amazing 'Tonight's The The Night' (TTN), the slightly lighter mood of OTB held within it some of Young's greatest songs. The vibe of this album is noticeably different from TTN, most likely as more time had passed since the deaths of Danny Whitten and Bruce Berry which had plunged Young into the funereal mood of TTN in the first place. The fuel of choice during recording being 'Honey Slides' as opposed to the tequila of TTN may also have had an impact. Inspiration and motivation not withstanding, this is a classic album without a single weak track. Landing in the middle of Young's first run of stellar records from 1969-1979, it kicks off with tumbling groove of "Walk On". The resigned and reflective air that pervades the entire album is evident from this first song, despite the at times almost jaunty music. "Sooner or later it all gets real" and "I remember the good old days" indeed. "See The Sky About To Rain" is the odd man out on the first side. Whereas "For The Turnstiles" in particular and at a stretch both "Revolution Blues" and "Vampire Blues" could have been slotted onto TTN, "See The Sky" is of an older vintage, from the "Harvest" era, and whilst not a happy song, it is perhaps one of Young's most beautiful melodies. The lyrics fit though with the despairing resignation that fills the rest of the album. "Some are bound for happiness, some are bound for glory, some are bound to live with less". "Revolution Blues" spits with venom and indignation, whilst the more laid back "Vampire Blues" prepares us for what is to come. In between, the cracked vocals of "For The Turnstiles" remind us what a dark place the ditch was that Neil found himself in, after leaving the middle of the road to meet more interesting people. It is on side two that the 'Honey Slides' really kick in and the album becomes almost horizontal. The title track is so laid back, you can just picture a late night recording session, the air hazy with smoke, heads nodding as the tape rolled. Maybe the engineers had given up and gone home for the night, leaving the tape rolling whilst the band played on. 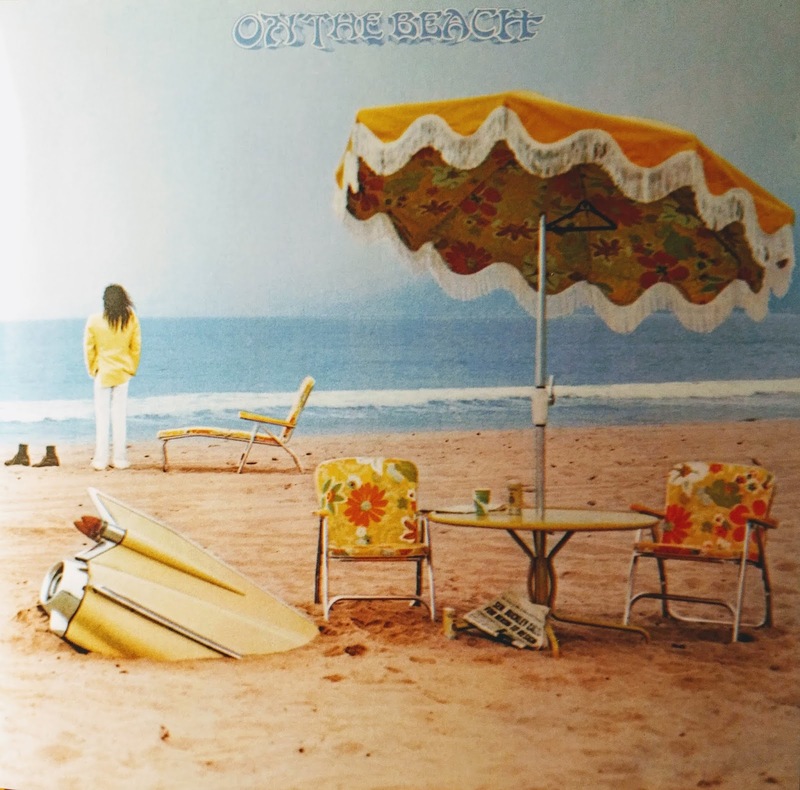 If "On The Beach" was laid back, "Motion Pictures" is more of the same. Neil's voice barely audible at times as the chords cycle around, the musicians drifting in and out of time. It is the final track, "Ambulance Blues", that is the real highlight of the album. Inspired by Bert Janch's "Needle Of Death", a 9 minute epic that rails against Nixon, his erstwhile colleagues in CNS&Y, alongside reflections on episodes from his past. If not his finest song, then it is certainly in the top ten.